Whether you’re doing search engine optimization in-house, or you’ve hired an SEO agency, one of the biggest questions we get from marketers and business owners is how to tell if their SEO efforts are working or not. Years ago, SEO companies could simply guarantee rankings and links, but with modern search engines, AI, and ever-changing algorithms, the tactics are more difficult to measure. Even worse, SEO has gotten a bad reputation due to black hat schemes from people trying to trick search engines. This has made many business owners skeptical of SEO to start with and anxious to see the return on their investment. So how can you prove the ROI of SEO, and why does it seem so hard to do in the first place? If you’ve ever done a research project, you know there are two basic types of data: quantitative and qualitative. Quantitative data is numeric – for example, the size of your shoes. Qualitative data deals with descriptions of things that can be observed but not measured, like the color of your shoes, or how comfortable they are. Measurement is all about numbers, meaning quantitative data. The problem is that SEO involves both quantitative and qualitative features. First, there’s the technical side of SEO, which includes things like page speed, broken links, page authority, and number of backlinks. Most of these technical elements are quantitative in nature, which makes them easier to measure and gauge success. A page that loads in 2 seconds and has 5 broken links is better than a page that loads in 10 seconds and has 50 broken links. And while technical SEO is extremely important, it’s only half the story. Rather than focusing only on technical requirements, search engines also try to provide the most relevant results that matter to people. That means they favor pages with the helpful, engaging content that provide the best user experience. The problem is that when it comes to measurement, things like “engagement” and “user experience” are qualitative, which makes them seem less concrete than technical metrics like speed and links. However, successful SEO depends on both technical and non-technical elements. So when it comes to looking at metrics and analytics, recognize that the numbers won’t necessarily tell the whole story. Most people search for products or services online at some point during the purchase process. In fact, studies suggest that 71% of B2B researchers and 89% of consumers actually start their buying process with a search engine. Unfortunately, just because someone lands on your website from a search doesn’t mean they will immediately buy. They may click around your site, bookmark it for later, and not fill out a contact form until days or weeks later. Or, let’s say you have a physical store. A customer might research online first and then buy in-store, but it’s hard to equate physical sales directly with an online search. If you’re an e-commerce business, you’ll likely have an easier time, because you can connect your online shopping cart into Google Analytics and track all your sales from organic search. But for most of us, long buying cycles and multiple touch-points muddy the tracks between an initial organic search and the final sale. SEO is an established and proven tactic that has worked for many businesses, but it’s not a quick one. Understandably, business owners like predictable returns, but too often we see businesses abandoning SEO when it doesn’t produce short-term results, without considering the long-term opportunity. Think of SEO like the stock market and approach it the Warren Buffet Way. Like stocks, search engine results and rankings fluctuate all the time, and being successful means being patient through the ups and downs of the market. You still have to do research and have a strong knowledge of the market if you’re going to make smart investments, but even with a solid SEO strategy, some of the things you try won’t work. This graph from Google Search Console shows typical ranking fluctuation across a 60 day period. The point is: if you want to truly measure SEO, you need to have a long-term mentality. If you’re only looking for fast, obvious returns within the next quarter, you’re unlikely to see the value. 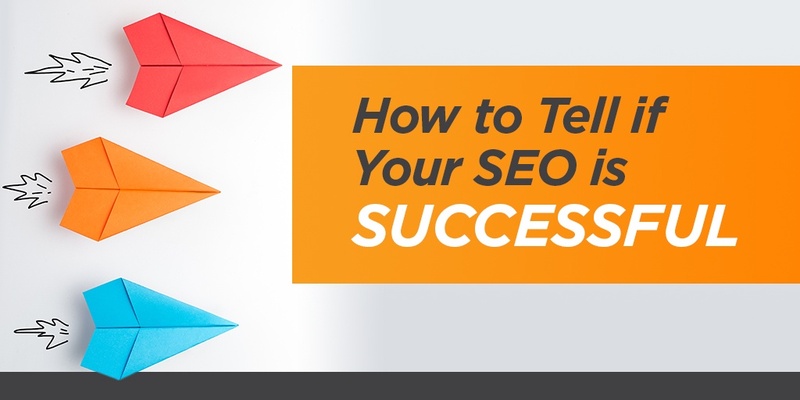 When most business owners ask, “is my SEO successful?” what they really mean is, “how much revenue is it generating?” Meanwhile, they’re frustrated with the SEO team, who report on more technical details like traffic, clicks, and links. While metrics like revenue and ROI are the holy grail for any marketing campaign, you have to start with some technical baseline metrics first. You need to make sure you’re doing things right – meaning properly executing your SEO campaign – before you can decide if those are the right things, and if they’re generating a good return on your investment. Organic traffic is the visitors who come to your website from search engines. Since SEO is all about increasing your visibility in search results, an increase in organic traffic is a good baseline indicator that your SEO efforts are working. Google Analytics is your best friend when it comes to tracking these types of metrics. Also, look specifically at non-branded organic traffic, meaning people who found your website with keywords related to your products and services, rather than your business name. This will give you a better idea of what keywords are helping draw traffic to your site. Google Search Console is a good tool here. 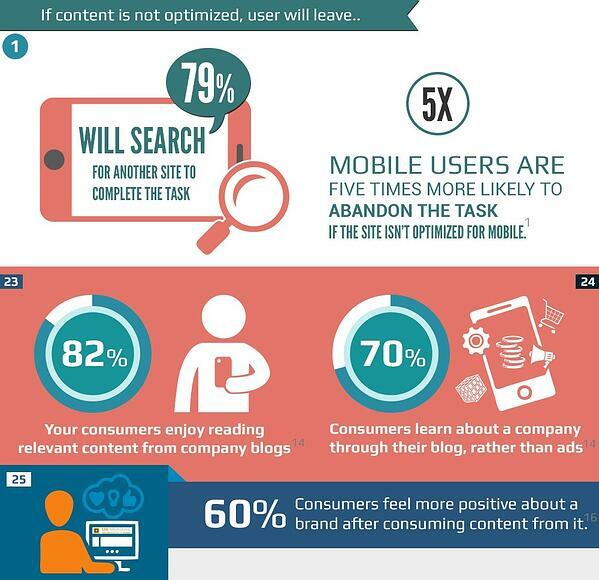 Content and SEO go hand-in-hand. Search engines are looking for the most helpful and engaging content, so good SEO means providing content that your audience finds useful and relevant. Inbound links are an indication that your SEO campaign is producing high-quality content that people think is worth sharing and linking back to. Use tools like Moz’s Open Site Explorer or SEMrush to track your backlinks. If you’re building new inbound links, it also makes sense that you’d see more traffic coming into your website from those links. Referral traffic helps measure your off-page SEO and content promotion efforts. Again, you can use Google Analytics to track this. Notice we said keyword performance, not rankings. Everyone loves the idea of ranking #1 on Google, but since search results are now localized, personalized, and driven by AI, keyword rankings are becoming less accurate and less important as an SEO metric. Instead of focusing solely on rankings, we recommend looking at your impressions, clicks, and click-through rates for your targeted keywords. This will give you an idea of how well your pages are optimized to show up and entice visitors onto your site when they’re searching for topics related to your business. One great way to track this is through the Search Analytics tool within Google Search Console. There, you can see the most frequent queries that are driving people to your website and identify top pages to improve. For our own website, we can see the top non-branded search terms that are driving clicks, and look for low CTRs (like for web development services) that we can improve and optimize. Now that you’ve established some baseline metrics to ensure you’re executing your SEO campaign properly, you can start to look at the results it’s generating for your business. Start by tracking lead conversions. These are things like form fills, phone calls, or live chat messages from your website. And, if you’re an e-commerce business, make sure you’re tracking “add to carts” and sales too. This will help you identify leads that are coming from your website and make the investment in SEO much more concrete. You can use Google Analytics or other analytics software to help track conversions and break them down by source, so you see which ones came from organic search. Also, make sure you have phone call tracking, so you see how call-in leads are finding your business. A good SEO campaign shouldn’t just be driving any traffic, it should be driving the right traffic. SEO helps attract people who are actively asking the sorts of questions that your business can answer. As a result, successful SEO might not necessarily mean more leads. Instead, it might drive better quality traffic that will turn into more qualified leads. Once you get people onto your website, how many of them actually take the next step by filling out a form, or calling you? That’s your conversion rate. There are many, many factors that can impact your conversion rate that go beyond SEO including your website design, navigation, site speed, etc. While these factors may be beyond their control, a good SEO agency will likely make suggestions for your website to help improve your conversion rates. OK – you know your SEO efforts are running smoothly and you’re tracking your conversions, but now the question comes down to the bottom line: is your SEO generating revenue for your business? This is a critical metric, but again, often one of the most difficult to track. If your business has a robust CRM and marketing software, you may have analytics that allow you to track customer activity all the way through your sales pipeline. Unfortunately, that is not the case for many businesses, so instead, consider looking at estimated revenue. In order to use this formula, you need to know two things. First, you need to know what a customer is worth to you. Think about the average value of a sale, and how many repeat sales you get from a single customer. If your business gets a lot of customer referrals, take that into account as well. Second, you need to know your closing ratio, meaning what percentage of leads from your website actually turn into sales. For example, let’s say you’re a residential roofing company. Between repairs and replacements, you determine that your average customer is worth about $5,000 over their lifetime. You get about 10 organic leads from your website per month. Of those, let’s say only 2 become customers. That’s a 20% close ratio. 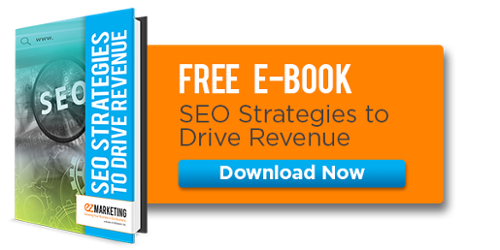 So your estimated monthly revenue from your SEO efforts is $10,000. Even if you’re spending $2,500 on SEO services to get those 10 leads, that’s still a 300% ROI! Because SEO is a long-term game that’s just one piece of a multi-step buying process, it can be hard to equate directly to revenue. However, by tracking meaningful metrics, you can prove the value of your SEO investment. This starts with ensuring your SEO efforts are being properly executed. So the next time your SEO team starts talking about organic traffic and click-through rates, rather than sales and revenue, recognize that they’re providing an important baseline. From there, focusing on tracking conversions from your website so you can see how SEO generates leads for your business. Finally, consider the value of those leads so you can estimate the dollar value to your bottom line. If you currently do not have a company to manage your SEO, be sure to check out the SEO services we offer.